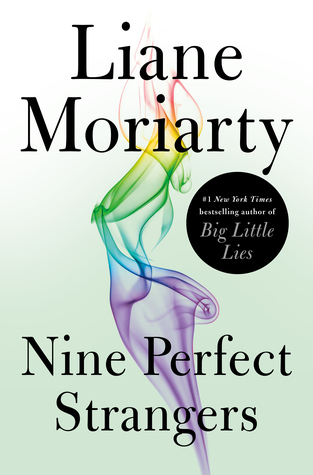 Last year I listened to and loved Big Little Lies (and watched and loved the TV show), so this year I made it a priority early on to get to Moriarty's latest book about nine strangers who are thrown together at a health spa with, shall we say, questionable health practices. It's one that's better to go into with as little information as possible, so I'll leave the summary at that. I can't say I enjoyed this one as much as Big Little Lies, which I found myself listening to compulsively, but I also didn't struggle to finish it. I think it's a little bit longer than it needs to be - we could have done without quite so much back story on every single character, but then again, characterization is what Moriarty is best at. With twelve (I think?) points of view, there is a lot of jumping around in people's heads that can be a little bit overwhelming at times. I'd find myself just starting to connect to a character when we'd jump to another character's point of view. That may have been intentional, but I didn't love it. I did enjoy the narrator quite a bit. I appreciate that they had an Australian reader read an Australian set novel and I quite like the narrator's voice and intonation. Overall, I think if you're a fan of the author's this one is probably one you'll want to read, but be prepared for it to be long at times and to drag a bit in places. I kept expecting it to get off the ground and the pace to pick up and it just never quite does. That said, I loved the narration and didn't find myself avoiding it, even though I also didn't go to it as readily as I have others. Our world is chaotic and often feels dark and devoid of hope. And it’s not just the headlines we see every day. Our relationships are broken. A loved one’s health is failing. We’re disoriented and restless and wrestling with fear. These things are the reality of living in a fallen world. But our God is over that world. He is present in the midst of the daily ache of life. He loves us in the midst of that ache. 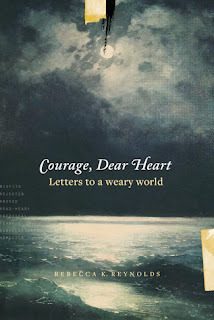 In a series of eleven letters, Rebecca Reynolds writes to the lonely, the weary, the restless and afraid - anyone who feels the ache of our broken world and their broken life, and provides perspective and hope to find where God is in the midst of it. This is just beautifully done. I loved the style of addressing each chapter to a different category of sufferer and writing the chapters in the form of letters. They are very personal and intimate and give you both a glimpse of the author and a reflection of yourself. I could find pieces of myself in each letter and I think the author did a great job of shining a light in dark places that Christian authors may avoid at times. 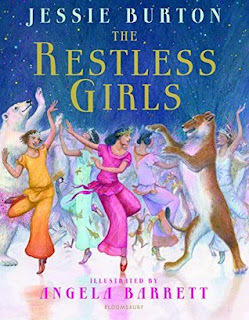 Again, I just adored this book. My go to is to read a chapter of whatever Christian non-fiction I'm reading at the time each night, but I couldn't limit myself on this one to just one chapter. I had to keep going. I'm glad I had it on my Kindle and was able to highlight relevant portions because this is a book that begs for annotations. I plan to get a print copy to reread and annotate further. It's Christian non-fiction, which will limit the interest range for some, but for those who read the genre this one is a must-add to your TBR. I've been gone from this blog for over a year and have probably lost a good deal of my readership. HOWEVER, the blogging bug has finally struck me again and I'm planning (hoping) on being back around and posting my reviews here, whether or not anyone actually reads them. I miss having that record of what I thought and how I enjoyed each book, so basically, hello again, Reader Friends, and hopefully this time I'll be sticking around!